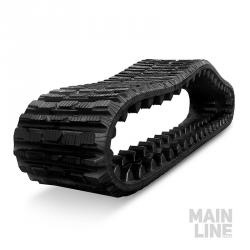 Mainline Track are pleased to announce the arrival of new ASV / skidsteer loader tracks which feature metal cording which is unique technology in NZ. This revolutionary new design for ASV tracks has been tried and tested in Australia with contractors reporting that they are experiencing OEM levels of performance; we are excited about the value these new ASV tracks will bring to the operator in New Zealand. We are all aware of how hard a life these skidsteer tracks get and being able to offer a product that generates significantly improved performance over any other aftermarket track is very rewarding for us – speak to our sales team to discuss how these tracks can reduce costs on your ASV.